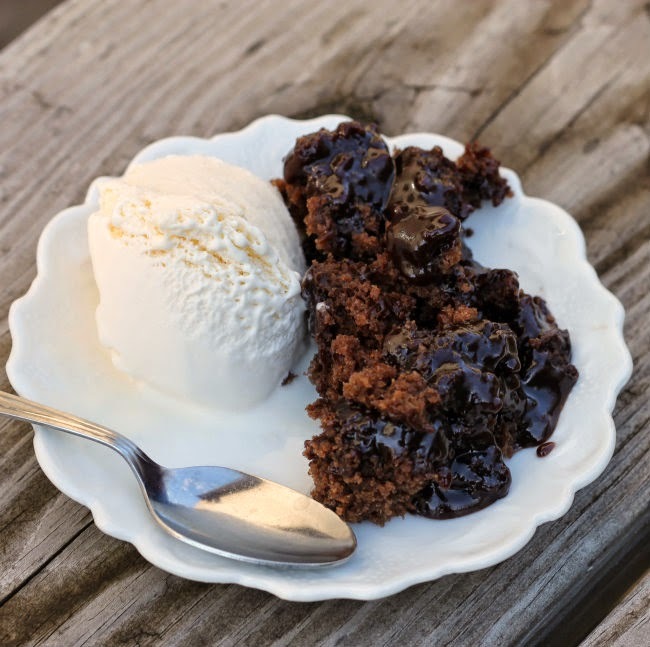 Crock pot hot fudge pudding cake… life can’t get any better! 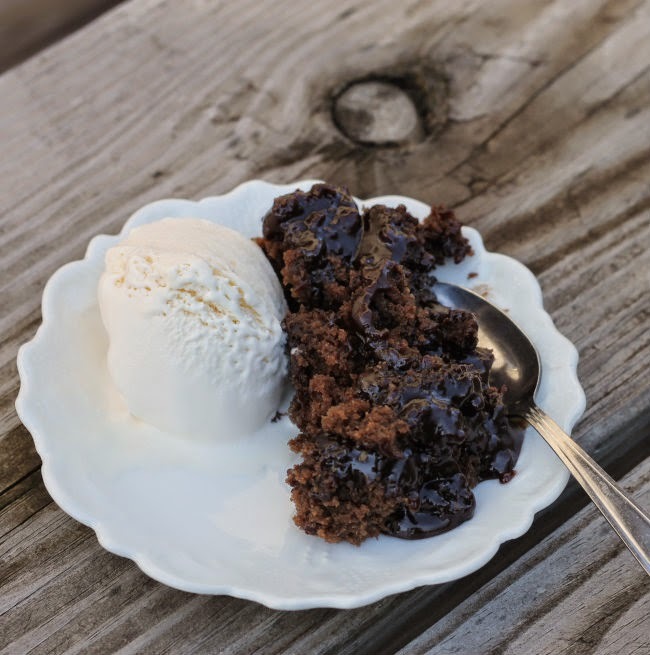 Chocolate pudding cake was a favorite dessert when our kids were little. But I never had the right size pan and it would over flow and make a mess in the oven. The kids loved the dessert, but I hated the mess it made. Also you pour hot water over the ingredients just before you put it in the oven and it was always an ordeal to see if I get it in the oven without spilling some of the water. 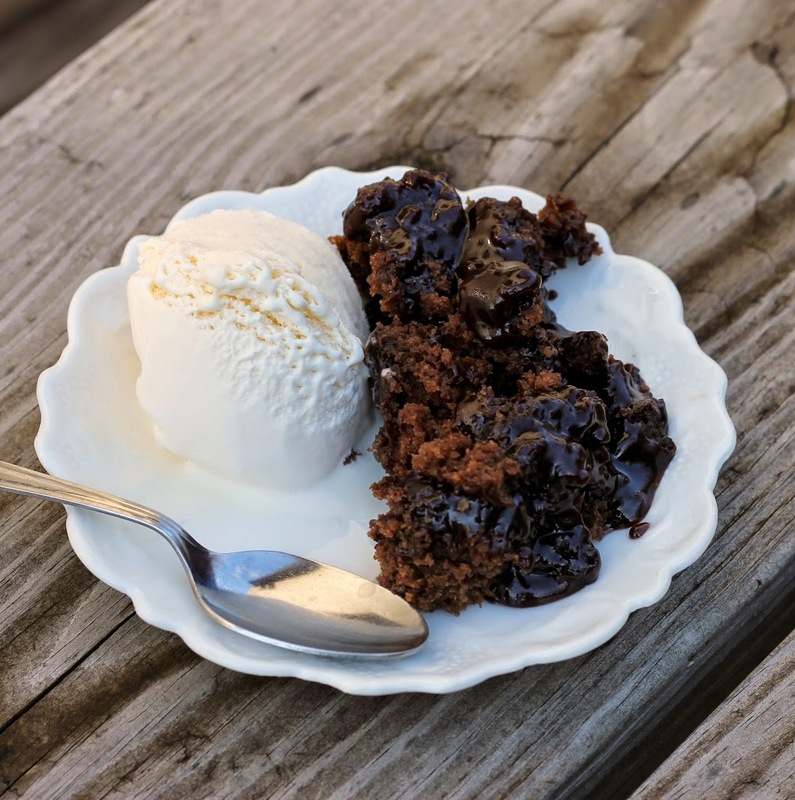 Not long ago I was looking for desserts that could be made in the crock pot when I ran across this old favorite. I couldn’t wait to try it in the crock pot to see if it was as tasty as the one that I made years ago. Then I noticed that it really was the exact same recipe that I made in the oven, just a different way of preparing it. It was just as delicious as I remember it to be. The crock pot makes it so simple to make and with no mess in the oven. The cake is chocolaty and so moist and I can’t forget the pudding that forms under the cake. Served with ice cream it is one yummy and easy dessert. With the upcoming summer this dessert will be perfect, you don’t even have to heat up the house with the oven. I made this on Mother’s Day for an easy no-fuss dessert. 2. In a small bowl combine the remain 1/2 cup sugar, brown sugar, and remaining 4 tablespoons cocoa; sprinkle this mixture evenly over batter. Pour hot water over top; do not stir. 4. Scoop out of crock pot and serve with vanilla ice cream. Now I’m kicking myself for giving my mother back her crockpot! This looks amazing. I adore chocolate and especially chocolate pudding! This oozes deliciousness!! !